The BFG will be released in select IMAX 3D theatres across North America and internationally. The talents of three of the world’s greatest storytellers – Roald Dahl, Walt Disney and Steven Spielberg – finally unite to bring Dahl’s beloved classic The BFG to life. Directed by Spielberg, Disney’s The BFG tells the imaginative story of a young girl and the Giant who introduces her to the wonders and perils of Giant Country. The IMAX release of The BFG will be digitally re-mastered into the image and sound quality of An IMAX 3D Experience® with proprietary IMAX DMR® (Digital Re-mastering) technology. The crystal-clear images coupled with IMAX's customized theatre geometry and powerful digital audio create a unique environment that will make audiences feel as if they are in the movie. In light of yesterday’s exciting news of Disney’s The BFGcoming soon to select IMAX® 3D theatres, I thought it would be fun to spotlight the past IMAX releases of none other than the legendary filmmaker (and director/producer of The BFG)—Steven Spielberg. 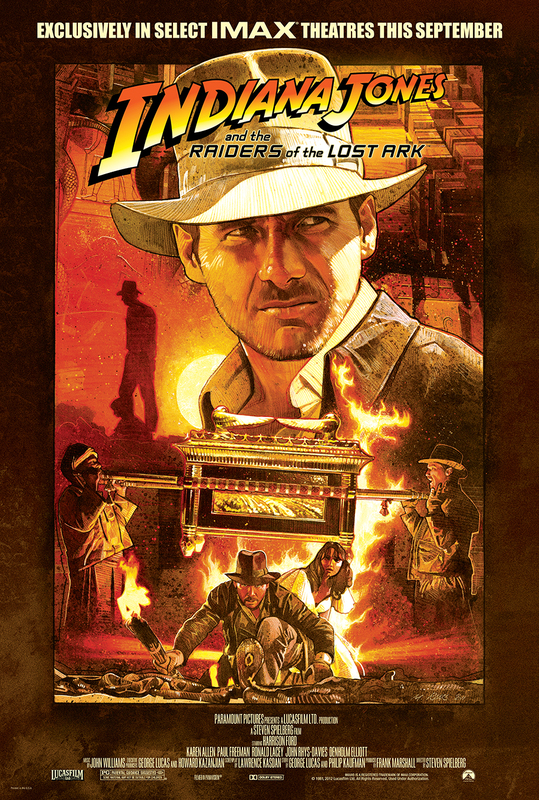 The following two years saw the re-releases of Raiders of the Lost Ark and Jurassic Park 3D , respectively, marking the first time either classic had ever been released in IMAX. Both Raiders of the Lost Arkand Jurassic Park 3D—along with The Adventures of Tintinand Super 8—are special moments in the history of IMAX DMR®; and we’re excited to keep the Spielberg legacy going strong with The BFG.